In recent years, research has confirmed what most teachers already knew: providing students with meaningful feedback can greatly enhance learning and improve student achievement. Professor James Pennebaker from the University of Texas at Austin has been researching the benefits of frequent testing and the feedback it leads to. He explains that in the history of the study of learning, the role of feedback has always been central. When people are trying to learn new skills, they must get some information that tells them whether or not they are doing the right thing. Learning in the classroom is no exception. Both the mastery of content and, more importantly, the mastery of how to think require trial-and-error learning. The downside, of course, is that not all feedback is equally effective, and it can even be counterproductive, especially if it's presented in a solely negative or corrective way. So what exactly are the most effective ways to use feedback in educational settings? 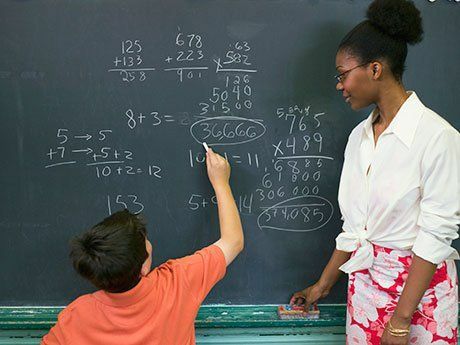 Although there is no quick or easy answer to this question, here are five research-based tips for providing students with the kind of feedback that will increase motivation, build on existing knowledge, and help them reflect on what they've learned. In a review of the available research titled "The Power of Feedback," University of Auckland professors Helen Timperley and John Hattie highlight the importance of supplying learners with specific information about what they are doing right or wrong. For example, feedback like "Great job!" doesn't tell the learner what he did right, and likewise, a statement such as "Not quite there yet" doesn't give her any insight into what she did wrong and how she can do better the next time around. Instead, researchers suggest taking the time to provide learners with information on what exactly they did well, and what may still need improvement. They also note that it can be helpful to tell the learner what he is doing differently than before. Has a student's performance changed or improved since the last time you assessed her? Let her know about it, even if she still has a long way to go. Numerous studies indicate that feedback is most effective when it is given immediately, rather than a few days, weeks, or months down the line. In one study that looked at delayed vs. immediate feedback, the researchers found that participants who were given immediate feedback showed a significantly larger increase in performance than those who had received delayed feedback. Another research project from the University of Minnesota showed that students who received lots of immediate feedback were better able to comprehend the material they had just read. Of course, it's not always possible to provide students with feedback right on the spot, but sooner is definitely better than later. Timperley and Hattie note that effective feedback is most often oriented around a specific achievement that students are (or should be) working toward. When giving feedback, it should be clear to students how the information they are receiving will help them progress toward their final goal. The way feedback is presented can have an impact on how it is received, which means that sometimes even the most well-meaning feedback can come across the wrong way and reduce a learner's motivation. When learners feel too strictly monitored: If learners feel that they are being too closely monitored, they might become nervous or self-conscious, and as a result, disengaged from learning. When learners interpret feedback as an attempt to control them: Learners may sometimes interpret feedback as an attempt to control them or tell them how they should be doing something rather than guidance on how to improve. When learners feel an uncomfortable sense of competition: Feedback shared in a group setting could cause learners to feel like they have to compete with their peers. This can be another source of disengagement in learning. To avoid these situations, Deci suggests fully explaining the purpose of any monitoring, and ensuring that learners understand how the feedback is meant to help them compete against their own personal bests rather than each other. Students must be given access to information about their performance . . . At the broadest level, students need to know if they actually have mastered the material or not. Giving them information about the ways they are studying, reading, searching for information, or answering questions can be invaluable. When students have access to this information, they develop an awareness of their learning, and are more easily able to recognize mistakes and eventually develop strategies for tackling weak points themselves. In the comments below, please tell us about how you give your students feedback, and about how it affects their learning.